I would like to keep you updated about different new video games I have been trying out recently. 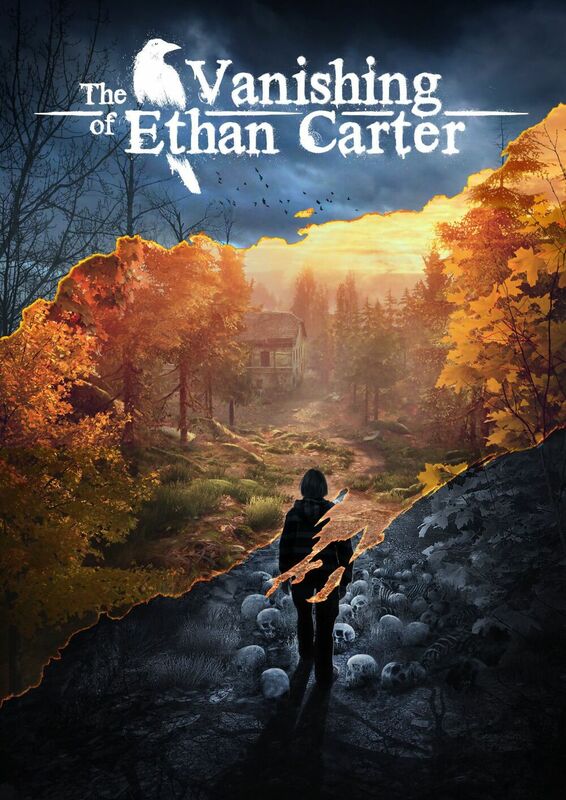 The first game I would like to introduce to you is entitled ''The Vanishing of Ethan Carter'' which was released on computer in September 2014 and which will be released on PlayStation 4 in 2015. The adventure game was created by independent Polish studio The Astronauts. The game tells the story of a detective with paranormal activities who received fan post from a boy named Ethan Carter who observed paranormal activities in his village. When the contact abruptly ended, the detective realized that something must have happened to Ethan Carter and so he visits the fictional and abandoned Red Creek Valley. The detective finds traces of Ethan Carter and his family but also of several cruel murders that happened in and around the village. It seems as if Ethan Carter's family or the entire village had been possessed by something evil that made them commit unspeakable crimes. The detective wants to find out more about that supernatural presence and what happened to Ethan Carter and the other vanished inhabitants. Among the game's strengths is the diversified open world environment in a fictional village somewhere in the United States of America. From a first person view, the gamer explores at will an unkempt cemetery, a deserted dam, a dense forest, a creepy mine, old roads and railway stations and an abandoned village with different buildings. The graphics are detailed and realistic and one can observe both bright colours and darker shades that add to the psychological horror atmosphere of the game. A highlight are definitely the graphics when the main character gets to know a story that is briefly taking place in space. The look of the space shuttle, the planets and the stars is absolutely stunning. The realistic sound, the fitting soundtrack and the slightly twisted story line around some criminal and supernatural investigations add to the dense atmosphere of this adventure game that gets more and more gripping. The only negative elements are the slight lack of action and true diversity in the different investigations and the rather short length of the game which can be played in a little bit less than eight hours. Minor disadvantages are the fact that one can get literally get lost in the open world environment which looks indeed beautiful but mostly pointlessly empty and a rather random auto-save system where the player doesn't always know when the game was saved last. In the end, this adventure game is still highly recommendable for those who like atmospheric and paranormal stories, detailed crime investigations and realistic environments with breathtaking graphics. In fact, I've never seen better graphics so far in a video game than in this one and this alone is worth the purchase of this surprisingly great independent game. DreadOut is an Indonesian independent survival horror game that convinces with its cultural, mythological and spiritual references, refreshingly grounded and sympathetic characters and an omnipresent gloomy atmosphere. Even though the game received average ratings, it's a milestone for the Indonesian video game industry. It was developed in a small team and financed with the help of a crowd sourcing campaign. The game's mysterious vibe, the developers' pioneer spirit and the project's sympathetic old-school approach pardon for weaker graphics and a slightly predictable story line. The sound department is particularly well-executed and the game has a coherent and entertaining flow in its relatively short running time. Any fan of third- and first-person survival horror games in the key of Penumbra, Resident Evil, Silent Hill and the likes should give this semi-professional exotic release a fair chance. 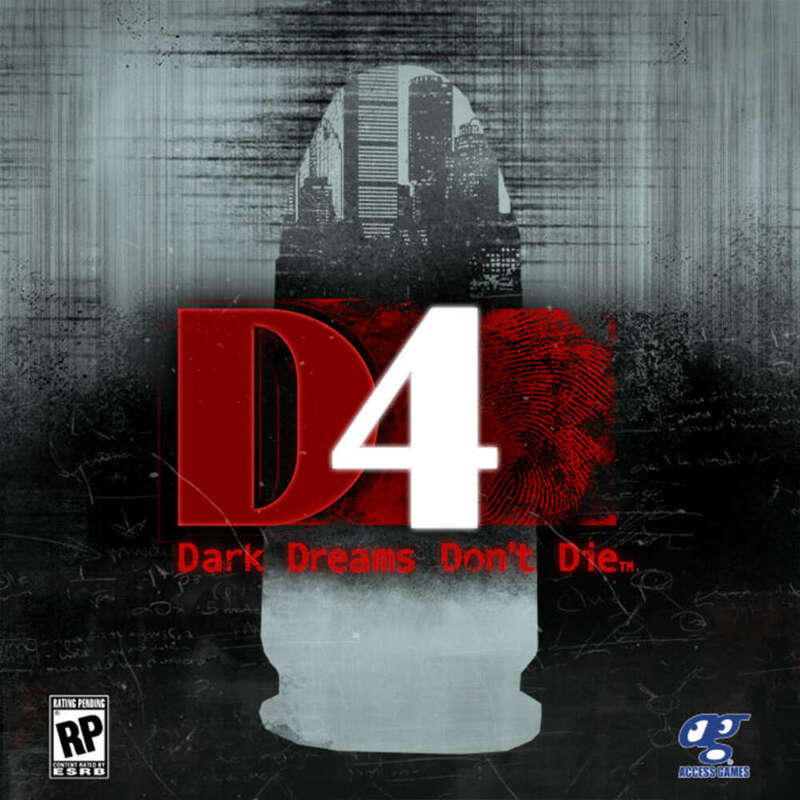 D4: Dark Dreams Don't Die is an episodic graphical adventure video game developed Access Games and published by Playism. The mastermind behind this game is Japanese multi-talent Suehiro Hidetaka, better known under his pseudonym SWERY. He has been involved as designer, director, planner, scenarist and writer in projects such as The Last Blade, Deadly Premonition and Lord of Arcana. Let's address the elephant in the room. What you have got here is the so-called first season of the game, consisting of a short prologue as well as two very interesting episodes. Sadly, the game is missing a proper conclusion and Suehiro Hidetaka has left Access Games and has announced that there wouldn't be any more episodes of this game. Let's hope that he gives this decision another thought because this game has a lot of positive elements and would clearly deserve a proper conclusion. The game revolves around main character David Young, a private investigator and former police officer, whose wife was murdered in their home two years prior to when the story takes off. David Young was hit by a bullet on that tragic day and can't quite remember what happened to his wife. The only thing he remembers is that a person called ''D'' seems to be involved in the crime. Ironically, many characters of the story have names starting with that letter and it's also the case for the main character himself. Throughout the game, David Young tries to find out what happened and eventually undo the crime in the past since he has the ability to travel back in time with the help of specific objects called mementos. The initial idea of the game should appeal to those who like mystery stories and recalls classic series such as Twin Peaks and The X-Files. On the positive side, the game has a gloomy atmosphere and intriguing story for those who like mystery stories as much as I do. Still, the game also includes more funny, light-hearted and quirky moments thanks to numerous original characters and some situation humor. This is where the vivid Japanese anime and manga style somehow comes alive in this game. The graphics remind indeed of that genre and so do several fantastic characters such as a quirky catwoman. The game seems to find the right balance between serious and amusing notes as well as between classic Western and classic Japanese video games. Another positive element are the game's numerous side quests. They vary from simple quiz shows over little games testing skillful reactions to original ideas where you must find or do something to impress and get help from other characters. A special mention goes out to the different types of clothes and soundtracks you can buy throughout the game which are quite diversified, entertaining and funny. What really drags this game down is that it doesn't have a proper ending. You must ask yourself whether the game is even worth to be played at that point. I certainly enjoyed the ride but if you expect a game with a proper conclusion, you will definitely be disappointed. Other than that, the controls are a little bit too simplistic for my taste. Finally, the side quests drag on for too long and end up being rather repetitive and distract from the intriguing main plot. To keep it short, fans of mysterious stories who don't mind playing entertaining episodes while the main story doesn't have a proper conclusion should definitely give this a chance. If atmosphere and story are more important for you than controls and graphics, you will probably enjoy this game. If you look for a similar and finished game, you should try out Murdered: Soul Suspect. Until Dawn is a survival horror video game developed by Supermassive Games and published by Sony Computer Entertainment. This game is one of the greatest games I have played in a very long time and might even be my favorite game of all times. The game follows eight young adults who spend a weekend in a cabin in the Canadian woods one year after two of their friends died there under mysterious circumstances. Soon, the eight friends sense that they aren't alone on that strange mountain somewhere in Alberta. Step by step, they uncover the numerous stunning mysteries of this abandoned place and their lives are soon in danger. Telling you anything more would take away from the brilliant plot that goes back to classical thrillers and horror stories somewhere between Agatha Christie and Stephen King. Until Dawn convinces on numerous levels. First of all, the atmosphere of this game is gloomy, mysterious and uneasy from start to finish. The challenge level is extremely elevated because there are many different possibilities related to the possible outcome of the story. The controls are quite tough and add to the challenge level since you have to press the right buttons in a short amount of time to take the right decision and save someone's life. The game flow is quite fluid from start to finish but I personally prefer the first half of the game that is strictly related to a sinister tale of revenge while the second part has a more supernatural twists which means that we almost get two games in one. The graphics are stunning and add to the game's gloomy atmosphere. Especially the winter landscapes look quite realistic. The game doesn't only have a reasonable length somewhere between eight and ten hours but can also be played over and over again because the decisions taken by the gamer have significant impacts in the future and playing the game again by taking different decisions will change the entire outcome of the game. It's the kind of game that never gets boring and can be played over and over again which explains the elevated long-term fun factor. The sound effects are creepy and intense. Make sure to play this game in the dark with an elevated volume to get fully absorbed by it. The soundtrack helps creating an immersive and intense atmosphere. The story isn't exactly new but perfectly executed. 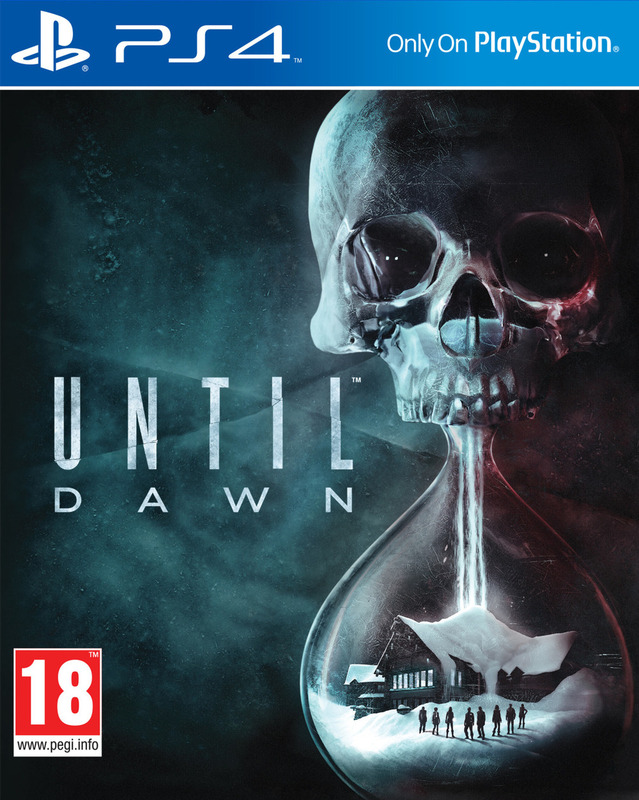 To keep it short, if you are a young adult and like clever thrillers and gloomy horror stories, there is no way you can get around Until Dawn. The spin-off Until Dawn: Rush of Blood doesn't have anything to do with the brilliant original game presented here. However, a prequel entitled The Inpatient, which takes place in the same locations as the original game but sixty years prior to the events portrayed in Until Dawn, is going to be released in November 2017. There is no doubt that I'm going to purchase this prequel. If it's only nearly as good as Until Dawn, it's going to be a contender for game of the year. Life is Strange is a graphic adventure video game split into five episodes. The game was developed by Dontnod Entertainment and published by Square Enix, one of my favorite video game developer companies. The game follows the story of twelfth grade student Maxine Caulfield who returns to the hometown she left five years earlier. She soon realizes that the prestigeous Blackwell Academy isn't as great as its reputation and witnesses bullying, drug addiction and even murder. Maxine Caulfield realizes that she has the capacity to reverse time and she uses her power to try and save people around her. However, she soon realizes that her actions create a dangerous rift in the space-time continuum which leads to showdown when Maxine must take the most difficult decision ever. This game convinces on many different levels. It has a very strong and mysterious atmosphere that is only increased by the smooth, slow and precise flow that quickens up the pace towards the dramatic end. Another strong element are the versatile, profound and diversified characters. It's easy to identify with the calm, intellectual and unique Maxine as well as with her unstable, rebellious and outgoing friend Chloe. They are both very authentic characters that complement each other perfectly. Finally, the story reminding of television series like Portlandia and Twin Peaks is addicting from start to finish and gets particularly sinister during the last two episodes. Life is Strange is not only a great game for teenage girls but for anyone who cares about artistics designs, mysterious plots and profound characters and doesn't mind a game that takes its time to unfold. The spin-off Life is Strange: Before the Storm is being released right now and focuses on Chloe's life rather than Maxine's life. Life is Strange 2 will be released in 2018 and will feature new locations and a new set of characters. Since the original game convinced me on nearly all levels, I'm looking forward to try out both the spin-off and the second installment.